We can often judge the strength of a family in times of crisis and death. If that family can put its differences aside and move forward as a unit with one primary focus of nothing but the crisis or death at hand, then that family is one of togetherness and support. If the family has friction, bouts of anger, and will not come together, it is clear that Love is so far from the relationship. And where love should always be abounding, especially in a family that has deep rooted spiritual beliefs, somewhere the position of spirituality is flawed. Somewhere we are talking the talk, but are inconsistent in the walk. As family, there are going to be disagreements, because of the differences of opinion, belief systems, and maybe even the facts. After all, you have individuals coming together trying to agree on one thing. But the saying, “Let’s agree to disagree” should be the Mantra for the matter, because the only primary focus should be the crisis at hand. This takes great individual maturity and intelligence. Maturity, in knowing that a fight in the middle of a crisis, is more for selfishness and self centeredness, rather than the election of the need of the collective— which is for the greater good. Intelligence, in knowing that anything outside of the whole collective is frivolous and serves no purpose. In these situations, it is not helpful to power play. With so many personalities involved, the best thing to do is acknowledge the most skilled members, and bring them into the solution or the execution of the situation. This is not to imply that any one is any less useful or less valuable, it is all about the situation at hand and bringing the very best of what the family has to bring to the table. Everyone also agrees to bring their best self by handling all additional tasks, so all family members are working seamlessly together, in one collaborative effort. This ensures the best reflection of the Family Name, which maintains its reputation, and the ties that bind will become stronger. When a family structure is broken, the crisis or death will only manifest what the real family issues are. Unfortunately, the rest of the world is watching, and therefore the family’s business and its weaknesses are fully exposed. The world watches, every step of the way, the unfolding of a family imploding. And whereas the family may move forward with its various dysfunctions— the tainted history, the pain and the stain of the facts become embedded in the family’s broken relationship. 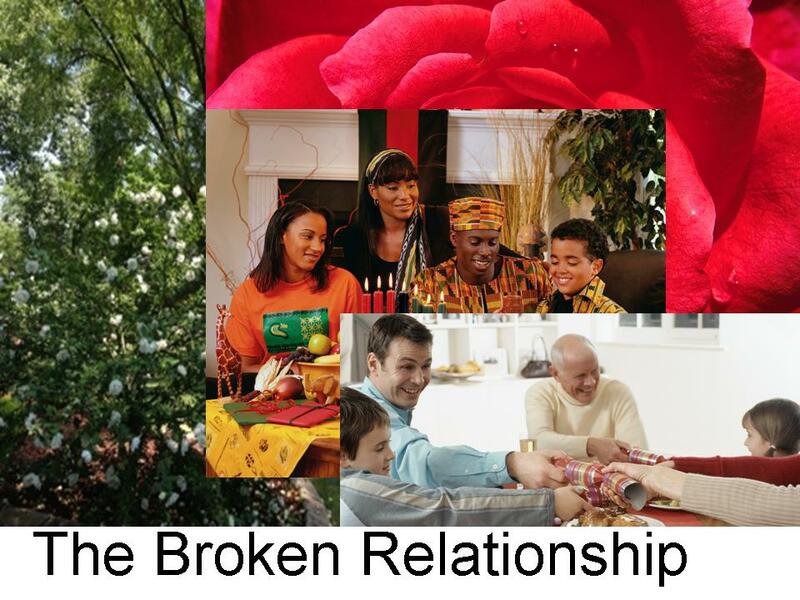 This entry was posted in Live and tagged family broken, relationships, structure broken. Bookmark the permalink. It’s been my experience that often the little theatrics and dramas that play out are predominantly the individual’s lack of ability to successfully convey their fear and inability to deal with the grief that they feel, so they revert to a standard mode of operation that is easier than the pain. But…pain is hard for all of us…and when it hurts the most, we have the least interest in remembering or learning the skills that might articulate our sorrow and force us to face it in another’s eyes or self. Awesome thought Shekhinah. Much love!